A South China Sea Air Defense Identification Zone? Erik Lin-Greenberg is a PS21 Global Fellow and a Doctoral Student in Political Science at Columbia University. Last week, a CNN crew flying onboard a US Navy patrol plane above the South China Sea recorded China’s military ordering the navy jet to exit a “military alert zone,” shedding light on Beijing’s ongoing attempts to exert administrative control over international airspace and waters. Just two weeks earlier, Philippine’s Defense Secretary publicly expressed concern that Beijing was taking steps to establish an Air Defense Identification Zone (ADIZ) over the contested South China Sea. Chinese officials haven’t ruled out the possibility of establishing a new zone, and new military facilities in the South China Sea could streamline Beijing’s ADIZ enforcement efforts. Establishment of such a zone would undoubtedly heighten diplomatic tensions between Beijing and other South China Sea actors and raise the likelihood of confrontations between military aircraft operating in the region. If Beijing establishes a South China Sea ADIZ, the zone would join China’s existing East China Sea ADIZ, which Beijing unilaterally declared in November 2013. Air Defense Identification Zones are regions of airspace, which often extend beyond a state’s national airspace, in which states can track and identify possible airborne threats. Existing international treaties neither proscribe the creation of ADIZs nor spell out rules for their establishment or operations. By customary state practice, however, ADIZ regulations are generally grounded in domestic law and require non-government aircraft bound for the state’s airspace to follow specific reporting protocols when entering and transiting the zone. Aircraft that fail to follow ADIZ regulations are subject to interception. Numerous countries, including the United States and Japan, maintain ADIZs and have done so for decades. What generated such alarm with Beijing’s East China Sea ADIZ was that the zone was unexpectedly announced and its regulations seemingly applied to both civil and government (i.e. military) aircraft regardless of whether they intended to enter Chinese airspace. A South China Sea ADIZ would likely be governed by similar principles. A central requirement of maintaining an effective ADIZ is the ability to credibly enforce the zone. To do so, a nation must possess radars capable of detecting inbound aircraft, fighters to carry out intercepts, and a command and control network robust enough to choreograph air operations. Shortly after China activated its East China Sea ADIZ, some analysts argued that China lacked shore-based radars and fighters with the range required to patrol the area enclosed by the nine-dashed line, a Chinese-defined region that encompasses much of the South China Sea. Beijing may now be able to overcome these limitations by relying on airfields and other military installations built on recently expanded South China Sea islands. Over the past year, China has launched an ambitious land reclamation program in which dredging and filling procedures are used to significantly expand the size of reefs and other small maritime features. Satellite imagery, like that made available by the CSIS Asia Maritime Transparency Initiative, reveals that many of these expanded islands feature radar sites, communications equipment, and other military facilities. Most significant is a 3000-meter long runway being built at Fiery Cross Reef, one of China’s largest reclaimed islands. This new infrastructure will undoubtedly make ADIZ enforcement far easier for Beijing. Rather than launching fighters from the mainland and relying on aerial refueling to extend the reach of the jets over the South China Sea, interceptors could be deployed for alert duty at the soon to be completed airfield on Fiery Cross Reef. This forward deployment would allow Chinese forces to more rapidly scramble fighters and also limit the need for complicated aerial refueling operations. In addition, early warning radar sites built on the new islands will allow China to peer far beyond its shores, enabling earlier identification and tracking of aircraft. Personnel at these sites could monitor aircraft and help vector fighters to intercept non-compliant aircraft. Indeed, CNN reported that the Chinese warnings they recorded likely originated from a shore-based radar station on one of the reclaimed islands. The creation of a new ADIZ is unlikely to have a significant impact on control of airspace above the South China Sea. Should Beijing establish a zone, states will likely disregard China’s regulations and continue military flight operations, just as they did after Beijing announced its East China Sea ADIZ. Abiding by China’s regulations would amount to recognition of China’s administrative control over the area, something other claimants are apt to avoid. Some states may protest the creation of a South China Sea ADIZ by increasing the presence of their own military aircraft in the zone. The United States, for instance, responded to the establishment of the East China Sea ADIZ by flying two B-52 bombers through the zone, without coordinating with Chinese authorities, just days after the zone was announced. Increased air activity stemming from ADIZ enforcement heightens the risk of confrontations and accidents involving military aircraft. An incident like the 2001 collision between a Chinese fighter jet and a US reconnaissance plane could be particularly destabilizing, especially if the incident involves the loss of life on either side. Although the United States and other international actors can urge China not to establish a South China Sea ADIZ, creation of such zones is consistent with customary international law. What Washington can do, however, is to encourage China to consult with other South China Sea states prior to the activation of a new ADIZ. Although these countries would certainly oppose such a move, coordination would at least prevent a repeat of the surprise surrounding the creation of Beijing’s East China Sea ADIZ, which was announced with no forewarning. Washington should also encourage Beijing and other Southeast Asian states to develop more robust crisis management mechanisms. These systems should include procedures for how to handle maritime and air incidents and feature government-to-government hotlines that can be used to defuse crises stemming from any confrontations that occur in a new ADIZ. 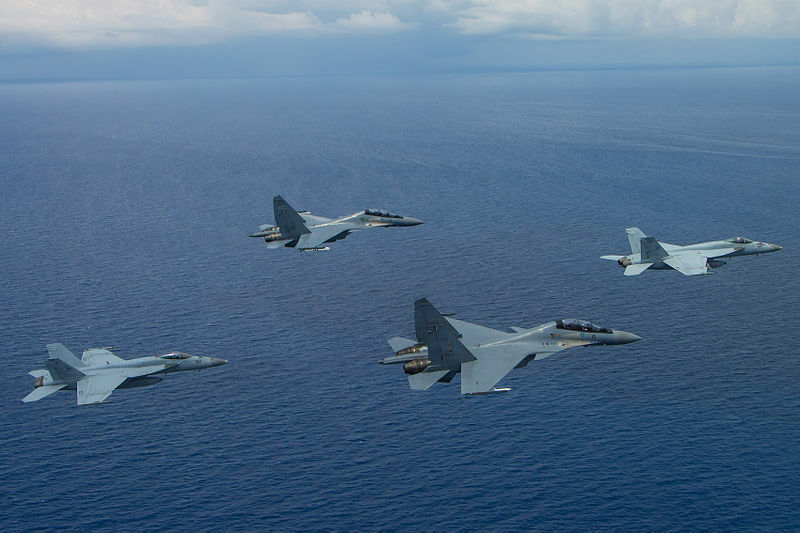 Finally, regardless of whether Beijing establishes a new ADIZ, the United States and other states must continue to operate military aircraft through international airspace above the South China Sea. Doing so exercises a state’s freedom of overflight and denies China the opportunity to privatize the global commons.